Ignored by history, only now their gallant story is exposed. The previously undisclosed facts of British prisoners of the Japanese who died in captivity in the Far East during 1942-1945. 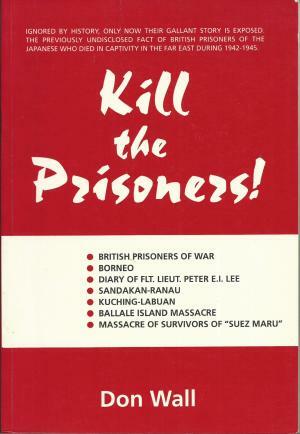 Kill the Prisoners! Published by the author. N.S.W. 1996. pp.vi+392 24cm. Black & white photographic illustrations. Sketch maps. Honour Roll 85 pages. Card covers.